(2018) Case Study 4: Harmful Algal Blooms iBook. Goal 6: Create innovative learning resources relating to the links between the planets ocean and human health. EU Sea Change Conference. February 2018. Paris, France. (2017) Harmful Algal Blooms iBook Design and Development. EU Sea Change Project. Whitaker Institute, NUI Galway, Ireland. (2016) Irelands National Report on the Consultation Protocol  Sea Change: Our Irish Ocean Conversations Report. EU Sea Change Project, Whitaker Institute, NUI Galway, Ireland. (2012) Submission to the Teaching Council for Professional Accreditation for the Initial Teacher Education Programme: Professional Diploma in Education  2 Year Model. School of Education. NUI Galway, Galway. 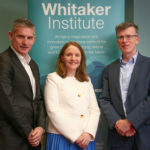 (2017) Irish Ocean Conversations: Co-Creating an Ocean Literate Society, Whitaker Institute Policy Brief Series, Policy Brief No.29, November 2017. (2018) Investigating the effect of scientist demonstators on primary childrens science self-efficacy. The International Conference New Perspectives in Science Education. Florence on 22-23 March 2018. (2017) From Confusion to Interest: An Examination of Pedagogy in a Physics Video Hook Intervention. International Research Group on Physics Teaching  International Commission on Physics Education  European Physics Education Conference (GIREP-ICPE-EPEC) 2017. Dublin City University, Ireland. July 2017. (2017) Marine Science  Bringing the Ocean into the Classroom. Engaging in Science Education. InEdu  Innovate, Educate, Awake Conference. NUI Galway, Ireland. 25th April 2017. (2016) Design Rising: Exemplifying the provenance and emergence of design-based research as intelligent experimentation in Irish education. EdTech 2016  Law Society of Ireland. 26th May 2016.